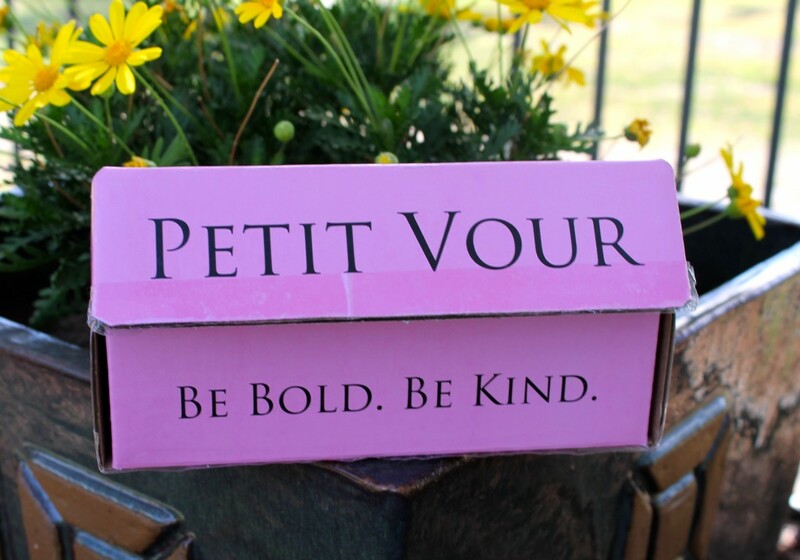 Petit Vour is dedicated to finding the most luxurious, ethical beauty products out there. 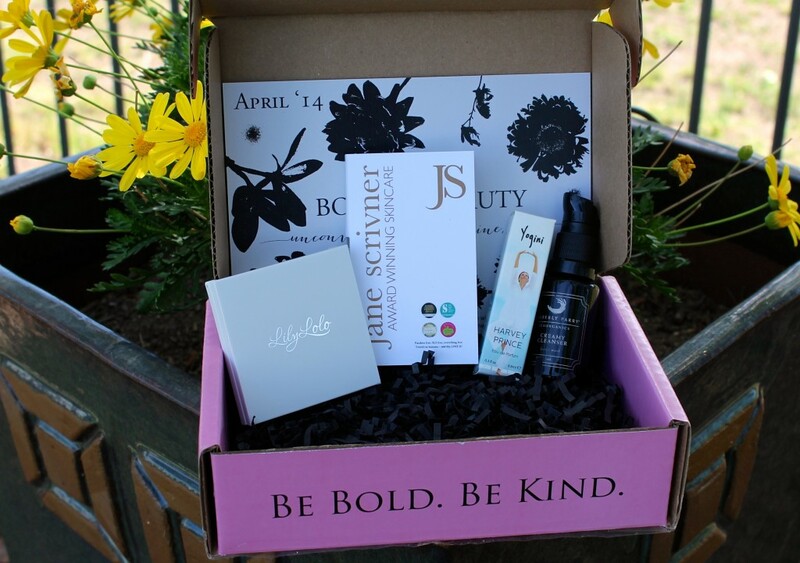 When my April box arrived, I was tickled pink (pun intended) by the pink and black box that appeared in the mail – I knew this wasn’t going to be your ordinary beauty box. When I opened it up, I squealed with joy at the beautiful products inside. These are good sized samples, not little tiny packets of product, which allow you to really give them a try so you can decide if you want to add them to your daily routine. The April box included a Pressed Mineral Eyeshadow quad from Lily Lolo in the most amazingly gorgeous earth shades (perfect for my skin tone), a Creamy Cleanser face wash from Kimberly Parry SeaOrganics, Jane Scrivner Rose Gold Ultimate Facial Serum and Harvey Prince Yogini Eau de Parfum (which smells DIVINE – I have it on right now and I keep inhaling my wrist). They weren’t kidding when they said these items would be luxurious and for $15 a month, you really can’t go wrong! You guys know how much I love supporting vegan companies and I am definitely a huge fan of Petit Vour! You can tell the amount of love and compassion that went into putting this collection together. 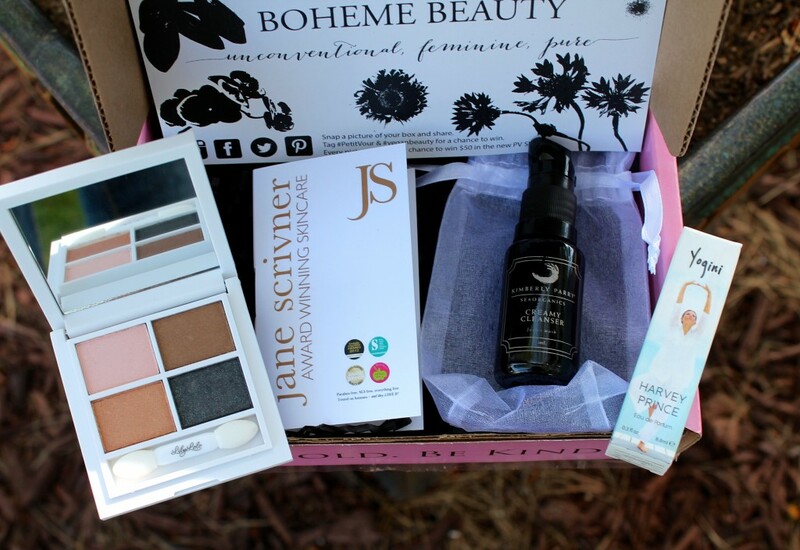 If you want to win a beauty box of your own and discover how great it is, enter in the rafflecopter widget below (your box will contain different items from the ones shown above)! Open to U.S. & Canada residents – contest ends May 9th!